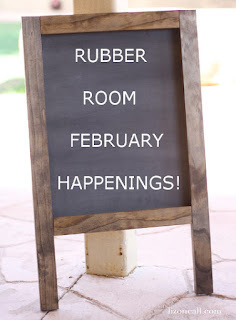 Rubber Room Ramblings: THE FEBRUARY RUBBER ROOM EVENT LIST IS HERE! Every Monday at 7:00 p.m. tune into my FaceBook Page at Rubber Room Ramblings, Stampin’ Up! with Chris Kolly for a Create with Chris FaceBook Live. Wednesday, February 13, 2019 from 7:00 – 9:00 p.m.
Make 8 cards (two each of four designs). These will be all-occasion cards and will feature SAB products. Cost of the class is $20 or it is FREE with a minimum $25 order the night of class. 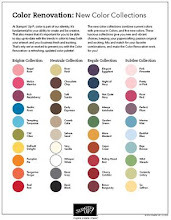 Place a minimum $50 order, and you will earn a level one SAB item AND I will give you free colored doilies or metallic brads; you get to pick which one you like best. At class all of your cards will be completely prepped and ready to stamp and assemble. Envelopes are also included in the class price. All you have to do is RSVP, and bring your favorite adhesive with you to class. RSVP by February 5, 2016. Tuesday, February 29, 2019 from 7:00-9:00 p.m. This month we are going to learn all about BRUSHO. These are amazing powdered crystals that add a tremendous amount of color in many different ways. I will teach you four different and wonderful ways to use BRUSHO. You will be making 4 cards (each using a different technique), you will have a tutorial to take home with you AND you will have your very own box of BRUSHO colors. Sunday, February 17, 2019 from 1:00 – 5:00 p.m. 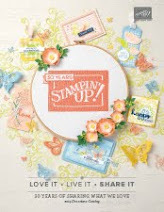 Experience a wonderful afternoon of stamping fun! Here are the four exciting classes you can enjoy. LET’S KIT TOGETHER—This month we are working with the Made to Bloom Kit. Make 12 adorable cards and a box to store them in. HAPPINESS BLOOMS MEMORIES AND MORE—In this class you will make 10 beautiful cards using the Happiness Blooms Memories and More Card Pack and the Happiness Blooms Memories and More Cards and Envelopes. You will take home plenty of supplies to make more beautiful cards at your leisure. BIRTHDAY CHEER BUNDLE—Attend this class and make six cheery birthday cards (two each of three designs). STAMPARATUS SCHOOL—This class is from 4:00 – 5:00 p.m. 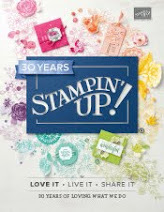 Explore all the possibilities the Stamparatus offer for saving time, exact stamping, circle stamping and so much more! Make three cards, each using a different Stamparatus technique or trick. There will be a handout with instructions you can take home and refer to later. 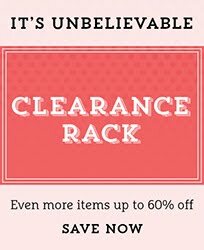 Take all four classes and receive a 10% discount.